Some of us may have experienced pain unbearable, but what if the pain lasts all day, every day, even in the long term? Of course we do not want it instead. Nevertheless, there are several types of diseases that can cause chronic pain that lasts. 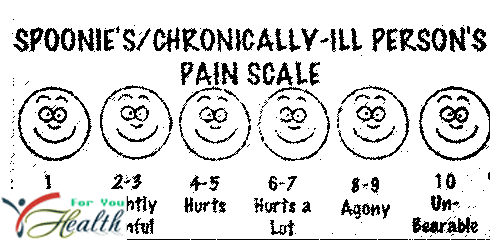 If you want to know what it's like to live with chronic pain conditions. Here's the details. You may not realize it, but the pain that overshadows the relentless will drain your energy throughout the day, just as you are experiencing flu. You might think after struggling with pain all day, sleep would be a temporary remedy. Unfortunately, it was only a dream (it was difficult to sleep because of the pain). People with chronic pain not only be irritated by nature. Pain can drain you physically and mentally. Most patients with severe chronic pain struggle to be able to live a normal life. They ignore the pain and live life as usual, but it was not easy. Although you can not do the activities you want, when you try tetepi just a lot of people look upset or do not like you, no matter how big your business. When you have a painful condition that never subsided, the last thing you want to do is attend the invitation, celebration, and even a small gathering with friends and close relatives. ^^Chronic pain can be experienced by people living with fibromyalgia, migraines, interstitial cystitis, rheumathoid arthritis, systemic lupus , and others.